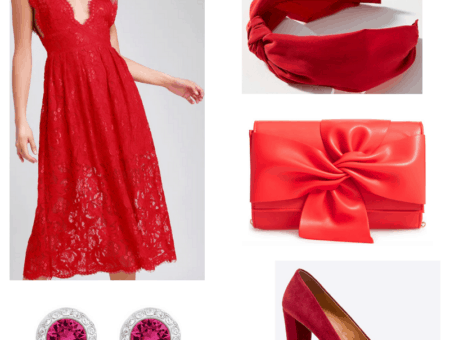 Valentine’s Day and red dresses seem to go hand-in-hand, so this week’s Fabulous Find is an adorable and budget-friendly LRD (little red dress) from the one and only Target. This ultra-flattering fit and flare frock is adorned with a subtle white asterisk print, making it a versatile and stylish pick. This is the type of dress you can wear now with riding boots and a winter coat, then pair later with a pair of sandals and some shades. Create an adorable, yet comfy everyday look by pairing our Fab Find with a cozy knit sweater and some taupe, lace-up oxfords. 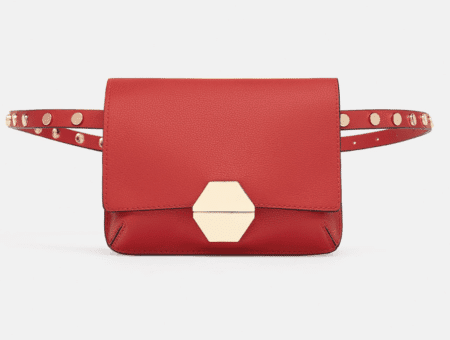 A mint green chain strap purse creates contrast with the red dress, while sphere-shaped stud earrings echo the color of the bag. Finish this look by accessorizing with a few delicate stacked rings. Toughen up this feminine frock by layering on a black acid wash biker jacket and a pair of suede ankle booties. A heart-shaped, quilted handbag gives the outfit a cute, yet fashion-forward vibe. Top the look off with some statement-making gold earrings. 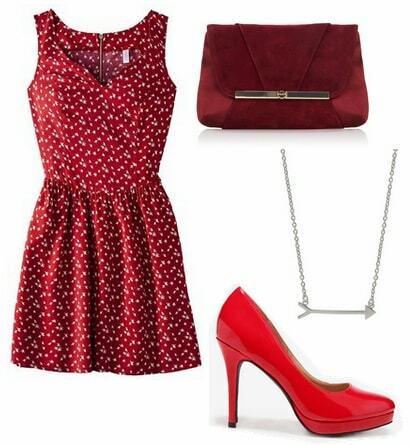 Monochromatic outfits are super-trendy at the moment and the above ensemble is a great way to wear head-to-toe red. The key to rocking this look is to vary the shades – this creates contrast and interest. Offset the crimson-colored dress with a pair of bright red patent pumps and a structured, burgundy clutch. Accessorize with a simple arrow-shaped necklace to complete this look. What do you think of this week’s Fabulous Find? 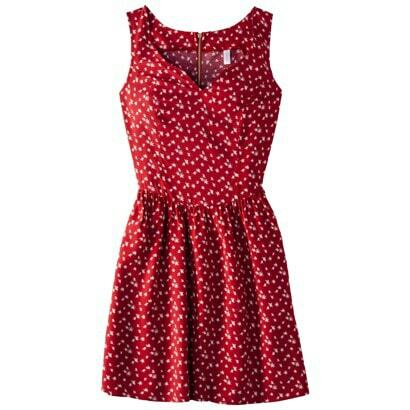 Would you buy this dress from Target? Which look is your favorite? How would you style the dress? Remember to leave a comment below and tell us what you think!